This book is written by best selling Dreamweaver author David Powers. 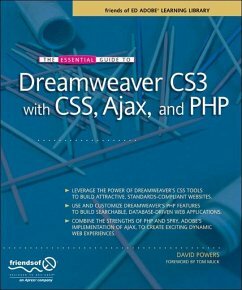 It presents a strictly practical, real world series of tutorials and covers everything you could want to do in Dreamweaver CS3, in terms of CSS and HTML, PHP, and Ajax. 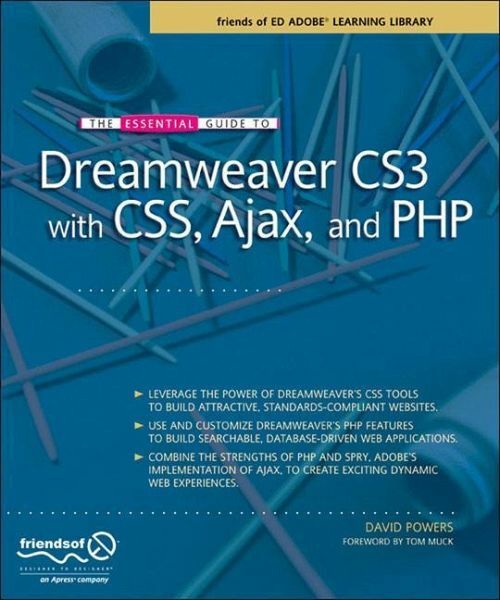 Dreamweaver is a huge selling product with over 3 million users worldwide, and the new version, Dreamweaver CS3, promises to be just as popular, with new features such as Ajax support. 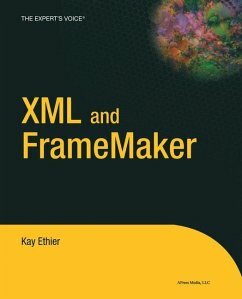 The book is written by best selling Dreamweaver author David Powers. He presents a strictly practical, real world series of tutorials to teach aspiring and existing Dreamweaver users how to do everything they could possibly want to do in terms of CSS, PHP (bar far the most popular server-side language Dreamweaver supports, and the only one that is really used a great deal,) and Ajax web sites, from beginner to advanced topics. David Powers is an Adobe Community Expert for Dreamweaver and author of a series of highly successful books on PHP, including PHP Solutions: Dynamic Web Design Made Easy and Foundation PHP for Dreamweaver 8. As a professional writer, he has been involved in electronic media for more than 30 years, first with BBC radio and television and more recently with the Internet. His clear writing style is valued not only in the English-speaking world; several of his books have been translated into Spanish and Polish. What started as a mild interest in computing was transformed almost overnight into a passion, when David was posted to Japan in 1987 as BBC correspondent in Tokyo. With no corporate IT department just down the hallway, he was forced to learn how to fix everything himself. When not tinkering with the innards of his computer, he was reporting for BBC television and radio on the rise and collapse of the Japanese bubble economy. Since leaving the BBC to work independently, he has built up an online bilingual database of economic and political analysis for Japanese clients of an international consultancy. When not pounding the keyboard writing books or dreaming of new ways of using PHP and other programming languages, David enjoys nothing better than visiting his favorite sushi restaurant. He has also translated several plays from Japanese.